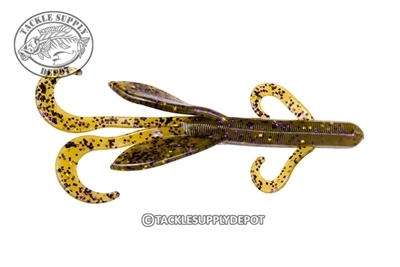 The Strike King KVD Perfect Plastic Game Hawg is a creature bait which is deadly whether flipped into heavy cover to being dragged on a Carolina Rig. Featuring the traditional twin tails and flappers as well as a set of curl tail arms providing a lot of movement in the water. The Strike King Game Hawg is a Game Changer.